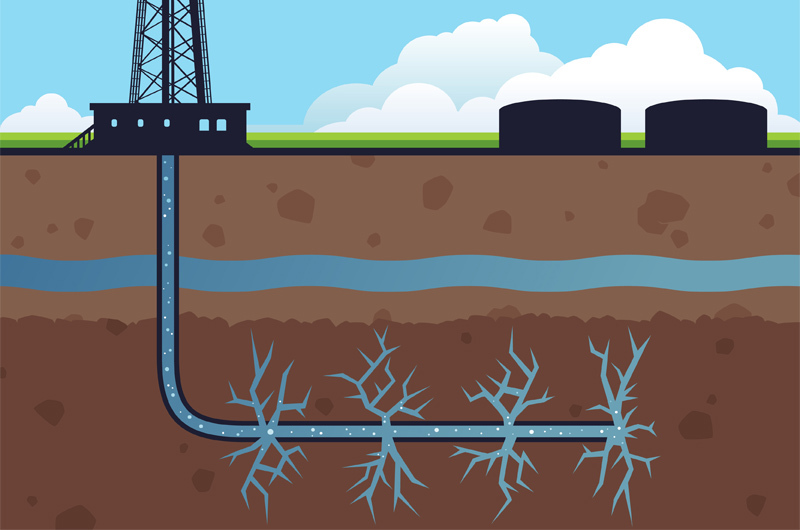 A new economic and policy analysis concludes that the hydraulic fracturing (HF) or “fracking” being done in Texas is adding to the state’s overuse of its water resources, but is only part of the state’s “Texas-sized” water problem. A recent study conducted by students at the Bush School of Government and Public Service at Texas A&M University has been summarized in “The Takeaway,” published by the School’s Mosbacher Institute for Trade, Economics, and Public Policy. HF is a drilling process that uses a mixture of water, sand, and chemicals to create small fractures that create paths that allow oil and gas to be produced from reservoir formations at an increased rate. The research shows that the boom in HF has brought significant economic and environmental benefits to the United States but that there are long-term water usage issues that need to be addressed. This is especially true in Texas, where there has been exponential growth in oil and gas production using hydraulic fracturing in the massive Eagle Ford Shale geologic formation. The Bush School study confirmed that within the Eagle Ford Shale, fresh groundwater aquifers are overdrawn annually at two and a half times their recharge rate. While HF operations are the third largest users of groundwater in the area, irrigation alone exceeds the recharge rate by more than 50 percent. The 2012 state water plan estimated that Texas could face a shortfall of 2.7 trillion gallons of water a year by 2060. Filling that gap would require an estimated $53 billion in new infrastructure of which only $2 billion has been allocated.